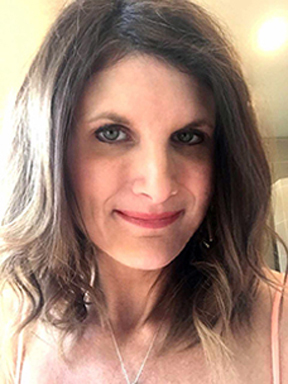 Humanities Texas is pleased to announce that Nicole Brisco of Pleasant Grove High School in Texarkana is one of thirteen recipients of the 2017 Humanities Texas Outstanding Teaching of the Humanities Award. State Representative Gary VanDeaver and Humanities Texas Program Officer Sam Moore will present Brisco with her award during Pleasant Grove High School’s Holiday Luncheon on Wednesday, December 20. In her 19 years at Pleasant Grove High School, Brisco has taught honors, pre-AP and AP classes in subjects ranging from art surveys to design, drawing and sculpture. In addition to classroom teaching, Brisco speaks at state and national art education professional development programs, sharing information on visual culture and curriculum-building with fellow educators. She is also a division chair for the National Art Education Association, a position she has held since 2010. That same year, Brisco won the Secondary Educator of the Year award from the Texas Art Education Association. “It is my privilege to present Ms. Nicole Brisco with her 2017 Outstanding Teaching of the Humanities Award,” said Rep. VanDeaver. “Ms. Brisco’s artistic talent is amazing, but the real treasure is in the love of art that she instills in her students. That will be her legacy for generations to come." “Humanities Texas is pleased to recognize the achievements of Nicole Brisco and Pleasant Grove High School,” said Humanities Texas Executive Director Michael L. Gillette. “Brisco inspires and motivates her students to succeed in the classroom and beyond. Brisco will receive a $5,000 cash award, with an additional $500 for Pleasant Grove High School to purchase instructional materials.